In 2007, Mark Pincus founded Zynga, the first social gaming company. Named after his dog Zinga, the company was created in order to make gaming more accessible and turn it into a more interactive, friendly experience . Zynga has created some of the most successful social games to date, including Words with Friends, FarmVille, and Zynga Poker. Over one billion users have played Zynga games and connected via the company’s franchises. Additionally, in 2009, Pincus formed Zynga.org, a 501(c)(3) non-profit organization that allows the success of social gaming to give back to those in need by connecting revenues from gamers to other non-profits around the world. One of Zynga.org’s biggest projects was the creation of co.lab, a gaming development technology program that gives underprivileged San Francisco kids the opportunity to learn about game design hands-on. The creation of Zynga spawned the entire social gaming industry, an industry of which Zynga continues to be a leader. According to IBISWorld, the industry has grown rapidly ever since its conception in 2007 . Growth peaked during the 2008 recession, when many companies were downsizing and left unemployed Americans with more leisure time. 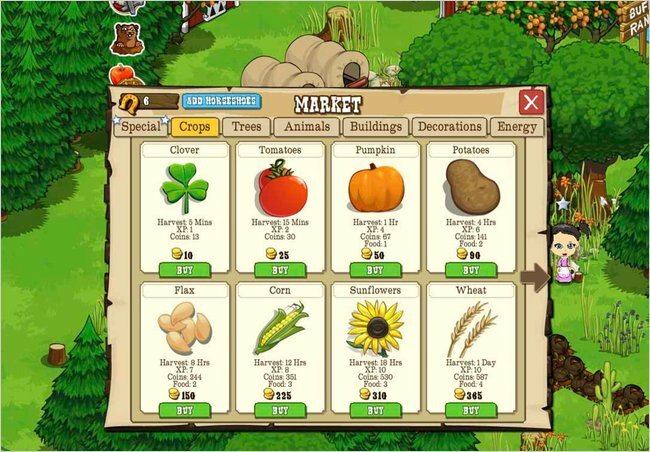 In recovery from the recession, customers are slowly investing more and more in social games in order to unlock achievements and progress more quickly in the game (for example, while playing FarmVille, a user could pay a few dollars to expedite the growth of their crops and thus move on to bigger and better tasks). Before social gaming, those interested in playing interactive games were required to own some form of external console, such as an Xbox or PlayStation. With Zynga, users can play games and connect with other gamers all across the globe as long as they have an internet connection and an account on a social networking site. The number of broadband connections in households has grown steadily each year, widening the potential market of social gamers. The social network aspect of gaming has introduced new customers that were not previously active gamers, namely females over 40. Earlier in March, Mark Pincus stepped down as CEO of Zynga and was replaced by Frank Gibeau . Pincus still sits as the Executive Chairman of the Board and oversees the company. Frank Gibeau is a 20-year veteran of Electronic Arts, one of Zynga’s leading competitors, so he is expected to bring positive change and expertise to the company and allow it to progress financially. Zynga is a publicly traded company, listed on the NASDAQ under the ticker ZNGA. The stock price currently sits at 2.48, a relatively high number since averaging 2.15 over the past three months . Zynga stock took a tumble in early and mid-February after the publication of a disappointing fourth quarter and annual report. After bringing in $185 million in revenue, the company’s operating income and net income amounted to losses of $55 million and $51 million, respectively. These numbers were a stark contrast to the third quarter, when Zynga brought in $10 million more in revenue and net income was $3 million. Zynga has two main revenue streams: advertising, namely video and banner ads, and the sale of “virtual goods” from in-game purchases . One big change for Zynga that will bring in more cash flow is its future sale of real estate. Currently, Zynga operates out of a 670,000 square-foot office in Silicon Valley, a space that is now too large for its 2,300 employees . Downsizing and liquidating their current office space could lead to a $300 million profit, given the astronomical increase in San Francisco properties since 2012. 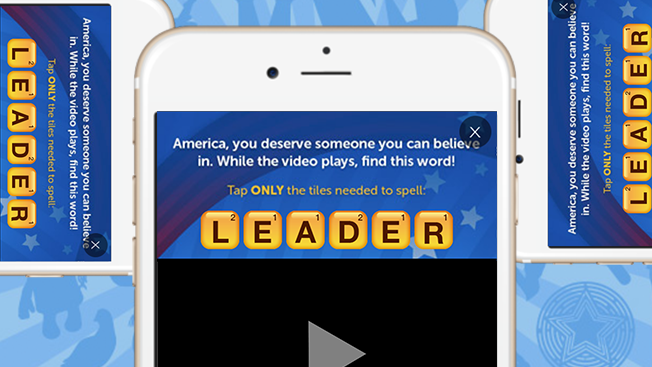 In January, Zynga announced a partnership with The Rubicon Project in developing SponsoredPLAY, a new form of native advertising that allows political candidates to take advantage of what mobile ads have to offer . SponsoredPLAY beta ads have seen six times the engagement rate of normal mobile advertisements, a metric that is incredibly important in today’s age of distracted consumers. With these ads, players connect with brands through mini games that incorporate a piece of the brand’s image. Specifically, The Rubicon Project introduces political candidates as the brands, and encourages the candidates to use the technology to engage voters in a fun and educational way. The SponsoredPLAY ads are also linked to Twitter to create a social buzz around the political issues that the user finds compelling. Ads are expected to be finalized and placed in the games later this year, just in time for the presidential election. One of the two new Zynga games that launched on March 31, 2016 was Willy Wonka & the Chocolate Factory Slots. This was the first game of many to be licensed from Warner Bros. Interactive Entertainment, thanks to a multi-year agreement signed in mid-2015 . The partnership allows for a realistic representation of the characters, sounds, and visuals from the original film. Willy Wonka Slots provides the player with nine different slot machines to begin, in addition to a special “High Roller World” with more levels that unlock after the player has earned over 24 million credits. The basic format of the game is similar to other Zynga games, where the user can play completely for free but has many opportunities to progress further with small increments of in-app credit purchases. The game can be downloaded for free on iTunes, Google Play, and Amazon or played on Facebook. The second game that debuted at the end of March is Crazy Cake Swap, a variation on the wildly popular Match-3 genre . Crazy Cake Swap is a mix of Candy Crush and Diner Dash, taking place in a bakery and offering different sets of goals for each level. The essentials are similar to other Match-3 games; of course, there’s the concept of matching three or more identical cakes to gain points. A player also only gets five lives and must wait or pay for more when they run out, and a similar wait-or-play model when the end of each “world” is reached. However, it provides a fun element of personalization by allowing users to upload their own photos or avatars, and has more of a storyline than other similar games. Crazy Cake Swap is distributed through the same outlets as Willy Wonka Slots and is free to play with the exception of optional in-app purchases. Zynga has been promising investors two high-development games for awhile, CSR2 and Dawn of Titans, that are finally set to debut later in 2016 . These games could bring in major revenue for Zynga if they become anywhere near as popular as Words with Friends or FarmVille. A recent trend with Zynga has been the overall decline in players, but huge increase in bookings for some of their popular games . Essentially, this means that while there are fewer players, these players are spending a lot of time gaming. If Zynga can successfully recruit more of these avid gamers and grow their user base back up, they will continue to be a force to be reckoned with in the social gaming world. “Zynga Logo.” Pop Culture Blog. Dallas Morning News, 3 June 2013. Web. 25 Apr. 2016. “Zynga Leadership.” Zynga. Zynga, n.d. Web. 22 Apr. 2016. “About Game Cards.” Zynga. Zynga, n.d. Web. 25 Apr. 2016. “Social Network Game Development.” IBISWorld. IBISWorld, n.d. Web. 22 Apr. 2016. “Farmville 2: Country Escape.” Google Play. Google, n.d. Web. 25 Apr. 2016. “Mark Pincus.” Catchafire. Catchafire, 25 Sept. 2013. Web. 25 Apr. 2016. “Frank Gibeau.” Live Geek or Die. Disqus, 29 Mar. 2013. Web. 25 Apr. 2016. Takahashi, Dean. “Mark Pincus and Frank Gibeau Talk about the Future of Zynga and Social Mobile Gaming.” Venture Beat. VentureBeat, 2 Mar. 2016. Web. 20 Mar. 2016. “Zynga, Inc. (ZNGA).” Yahoo Finance. Yahoo!, n.d. Web. 24 Apr. 2016. Gobry, Pascual-Emmanuel. “How Zynga Makes Money.” Business Insider. Business Insider, 28 Sept. 2011. Web. 24 Apr. 2016. 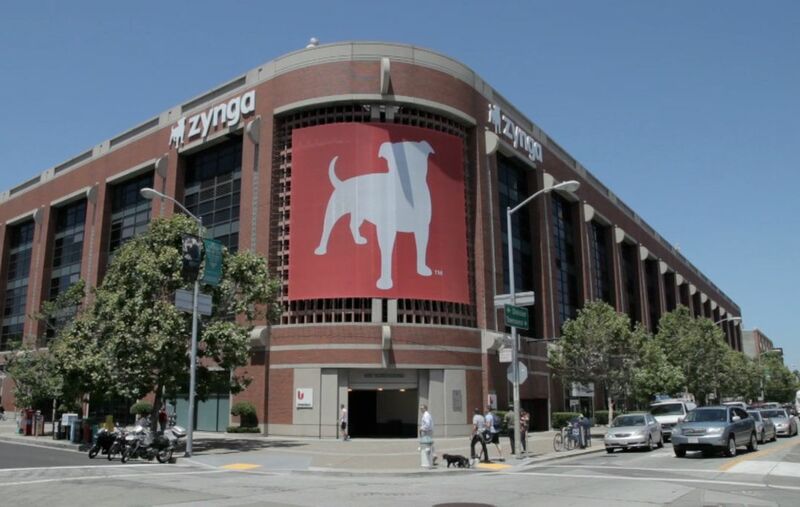 “Zynga’s Opening Day.” Gigaom. Knowingly, 16 Dec. 2011. Web. 25 Apr. 2016. Bruno, Alessandro. “ZNGA Stock: This Is Why the Bears Are Wrong on Zynga Inc.” Profit Confidential. Lombardi Publishing, 26 Feb. 2016. Web. 20 Mar. 2016. “Zynga Headquarters.” Games.com. AOL, 12 Nov. 2012. Web. 25 Apr. 2016. Pakula, Kelly. “Zynga & Rubicon Project Announce New SponsoredPLAY Custom Mobile Advertising Product for Political Campaign Advertisers.” Global Newswire. Nasdaq, 7 Jan. 2016. Web. 24 Apr. 2016. “Zynga Mockup.” Adweek. Adweek, 7 Jan. 2016. Web. 25 Apr. 2016. Shaul, Brandy. 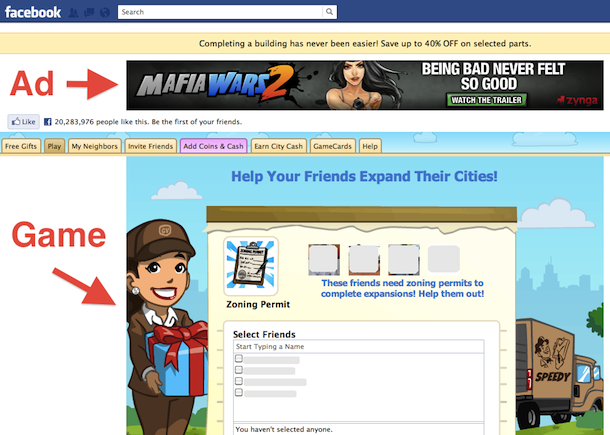 “Zynga Launches Willy Wonka & the Chocolate Factory Slots on Facebook, Mobile.” Social Times. Adweek, 31 Mar. 2016. Web. 24 Apr. 2016. “Willy Wonka Slots.” Zynga Blog. Zynga, 31 Mar. 2016. Web. 25 Apr. 2016. “Crazy Cake Swap.” Google Play. Google, n.d. Web. 25 Apr. 2016. Morris, Chris. “What Will It Take To Turn Zynga Around?” Fortune. Fortune, 11 Feb. 2016. Web. 25 Apr. 2016. Nusca, Andrew. Here’s Why Changing CEOs Won’t Fix Zynga. Fortune. Fortune, 2 Mar. 2016. Web. 20 Mar. 2016. “Dawn of Titans.” NaturalMotion. NaturalMotion, 5 Mar. 2015. Web. 25 Apr. 2016.